Where will the money come from? We need more volunteers. Our church attendance is too low. We do not have enough. Such are the doubts and fears of a congregation not focused on Christ, but on the struggles of the moment at hand. Following the miracle of feeding the four thousand, Jesus instructed the twelve to get in the boat and set sail for the other side of the sea. The other side was not a place where most Jews wished to go. It was Gentile territory — fairly unknown and uncertain. In their worry and apprehension, the disciples forgot to pack some food for the journey. As Jesus was teaching them, the twelve were not listening; they were worried about their lack of food. Too often, congregations worry about the things they do not have and they forget about what is most important. Faith and trust that God will provide all that is needed to do his will is essential for the mission-driven church. Our Lord calls us to go to great length in order to serve others. 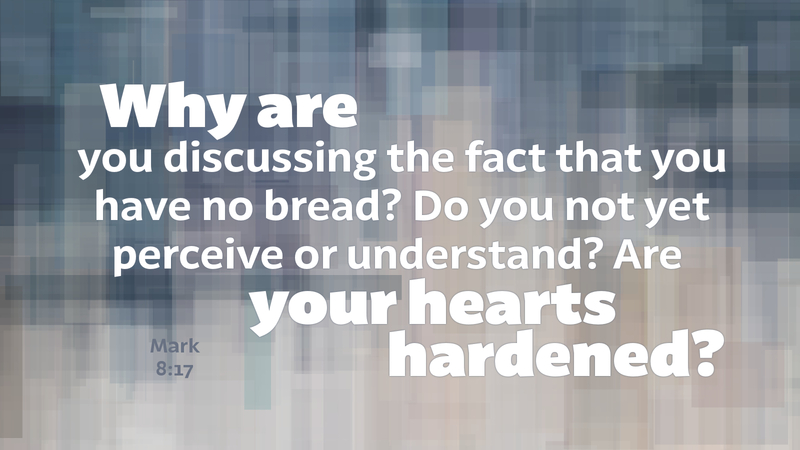 Understanding the loaves he provides allows the church to participate in God’s mission without the worry of not having enough. Prayer: We give you thanks, O God, for providing all that we need to do your will. Amen.